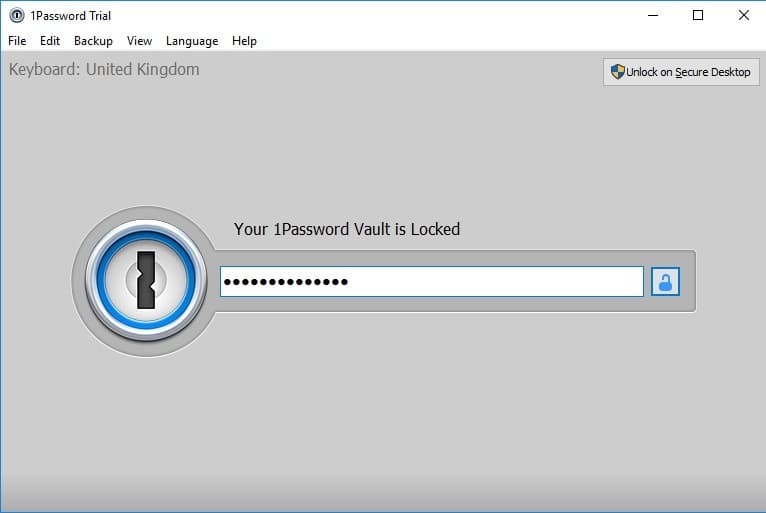 1Password Review 2016 | Is this Password Manager Good? If you are happy to pay for it, this is a great password manager, packed full of useful features and easy to use. In our on-going series of reviews password managers, one big name remains. So, without further ado, here is our take on one of the most well-known commercial products with which you can store your login credentials: 1Password. As one of the biggest names in the password management business, 1Password is likely to attract many first-time buyers. And therein lies one of the program’s biggest potential disadvantages – it isn’t free. So, given the quality of some of the competition, and the fact that there are many other similar products that don’t cost a penny, how does it justify a purchase? Well, the inclusion of some interesting features certainly help, as does the overall quality, look and feel of the product. But is that enough to part you from your hard-earned cash? I guess, as ever, the answer to that question comes from where you stand with technology in general, and password management software in particular. The questions you have to ask yourself are: How do you feel about installing an open source equivalent, and what value do you place on convenience? Actually, scrub that last question – the vast majority of the convenience afforded by buying a commercial product is undone in this instance as 1Password does not integrate itself between the desktop and mobile platforms nearly as well as some other password managers do. So, with that in mind, what benefits does 1Password offer? An impressive line-up, as I’m sure you’ll agree, but is that enough to justify what I think is a high asking price? And, more importantly, is the base functionality of 1Password good enough to keep your login credentials secure? As a commercial product, the source code of 1Password is generally not available for scrutiny though some elements, which have been ‘leaked’ do stand up to scrutiny and suggest the security measures in place are adequate or better. The use of 256-bit AES encryption is a strong and secure option for this password manager. As with all other programs of this type, the most important security aspect lies in the use of master password though. When the program is first installed, you will be asked to enter this password – the only one you will need to remember – before you can proceed to use the product. Assuming you have chosen a lengthy, complex and hard to guess master password, you should be well set, as it will be both hashed and salted by the software. With end-to-end encryption in place, your chosen master password will be extremely secure but, of course, there will be no option for recovering a master password. In my opinion this is an essential feature of such software but it does make it all the more important that the master password you choose is as memorable as it is hard to crack. The more paranoid out there will be pleased to know that the cloud syncing mentioned above is not enabled by default, but when it is required, it can be achieved via Wi-Fi, thus negating the need to send your passwords over the internet. Such a connection can even be achieved without the need for a router as 1Password can create an ad hoc wireless network. Furthermore, 1Password even offers advice on how to check network activity to ensure that no data is sent being to its developer, AgileBits. 1Password has a nice and reasonably intuitive interface that allows it to offer a wide range of features in a manner that will not confuse or confound the average user. It’s not going to win any prizes for aesthetics but it is certainly a big step up from some of the alternative open source alternatives that seem to rate basic functionality over any kind of user experience. 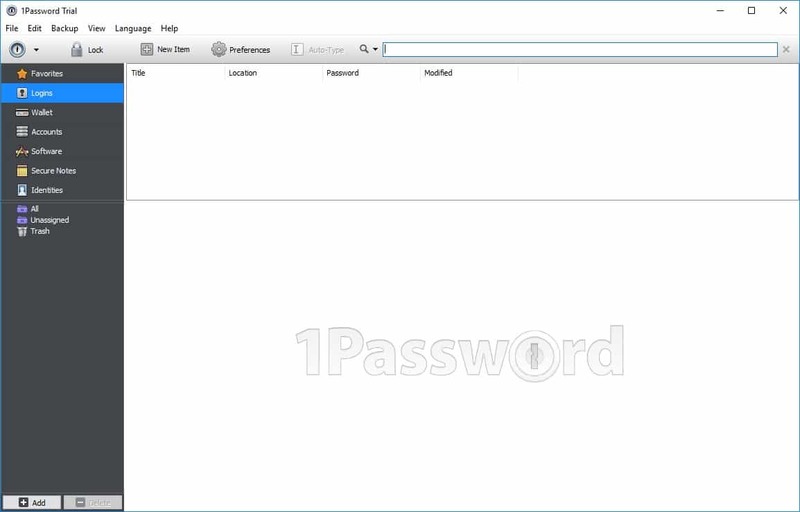 Support for this password manager is excellent which is something that cannot be said for the vast majority of the competition so, if that’s of paramount importance to you, look no further. AgileBits’ website, on the other hand, is a bit lacklustre at first look, though the determined will find and filter their way through the information overload to discover a wealth of information, guides and manuals that, collectively, will tell you everything you need to know about 1Password. For those who need even more information or assistance, or who cannot find what they are looking for, the company also offers assistance through its support forum and a helpful Twitter account appears to be quite responsive. So, overall, what did I make of 1Password? Well, the first thing to spring to mind is the fact that this software has a definite market: those who want an easy to use and effective password manager that requires the minimal amount of effort to set up and maintain. And for those people, it does just what it says on the tin, though it comes at a financial cost. For more accomplished computer users there are many other choices that are either free or significantly cheaper. So, depending on which camp you fall into, the pros and cons of 1Password are clear. Five or six days ago, I wrote to support at AgileBits to ask a simple question about pricing. I immediately received an automated reply indicating that their “humans” would get back to me very quickly. Five or six days? I don’t think so. This lack of responsiveness on their part is, for me, a deal breaker. I’m looking at password managers for the first time and it’s important to me that the company I put my trust in will still be there in several years. I appreciate that no one likes spending money-I don’t either- but they’ve simply got to make a profit or else one day you’ll find their servers down and you won’t know what any of your passwords are. They also need to update, give support and keep up with the hackers, all which requires money. For me it’s a huge plus that they charge and yet so many people seem to be willing to give them their money. I had to print the page for password emergency kit. I did not understand the scan bit to set up the account.mifelt I had to leave it at that page I have been given an account key and I put in a master password. This is an amazing app and ever since I first started using it has become such a huge part of my digital life that I can’t recall how I used to live without it. It makes full use of every iOS technology available and helps you be ever more productive. I must have for anyone wanting to keep all their digital accounts safe. In your review you wrote “Its not free” in the “against” column: I find that puzzling. If you want security, which is the point of the product, then you have to expect that if the product is free, the developer not being a charity, has found another way to monetize their product. The fact that this is not free means it is precisely what the consumer wants because the terms-and-conditions can be stated as an honest exchange between the parties. When did it become a negative attribute of a product that the consumer had to pay a known, quantifiable, price for it? If I have the choice between paying for a service that is designed to protect my privacy or use a free one, I will choose the one I can pay for. That way there’s a better chance I’ll get the service I want, and won’t wake up one morning to find the service has disappeared or changed the ‘rules’ without my knowledge. For the same reason, I’d much rather use Twitter or Facebook if I had to pay for them… rather than them find other ways to try to make money out of me. I’d like to thank you for sharing your thoughts about 1Password! I’m glad that you appreciate our support. It is something that we take great pride in. Speaking of which, you ever have any questions about 1Password, I’d encourage you to contact our team at support+social@agilebits.com.